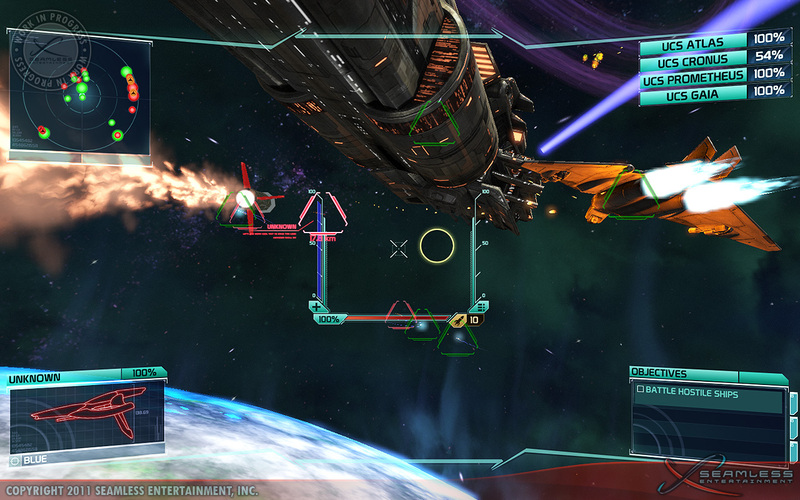 Invoking X-Wing and Wing Commander is a great way to get gamers excited about playing dogfights in space again. Fellow Escapists Russ Pitts, Steve Butts and I have lamented the lack of a solid space sim for years. The genre had its heyday in the early 1990s with the Wing Commander series and LucasArts' X-Wing, Tie Fighter and X-Wing Vs. Tie Fighter. As the decade progressed, the genre just didn't seem to resonate with gamers as well as FPSs and RPGs did. 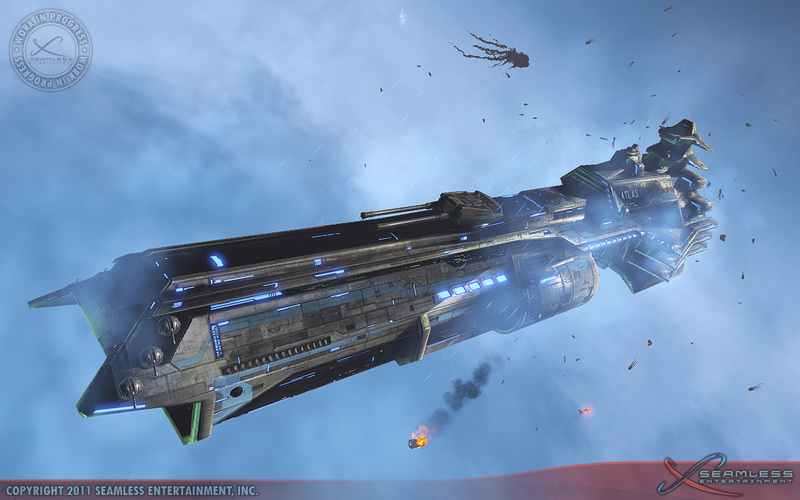 In the last ten years there have been many independent or smaller production games such as Tarr Chronicles and Freespace but gone is big-time publisher support for the poor space combat sim. Chris Stockman from Seamless Entertainment wants to change all that. He's building a game called SOL: Exodus that will hopefully generate excitement for flying spaceships. From what I was able to play at PAX this weekend and the passion I felt in Stockman, he just might make that holy grail a reality. "My goal ultimately is to resurrect the [space combat sim] genre and then do GTA in space," Stockman said with some dramatic flair. "I was the design director on Saint's Row so I know a little bit about the open-world games and what makes them fun." When Stockman worked at Volition - which made Freespace, one of the crown jewels of the space sim genre, before moving on to Red Faction and Saints Row - his coworkers always talked about how to bring back the games they loved. "They are bit jealous of what I'm doing," he said laughing. What he is doing isn't yet the big open-world game but a linear campaign-based flight combat sim for the downloadable market. SOL: Exodus's gritty military story is inspired by the Battlestar Galactica reboot, but my favorite part is that it doesn't feature any aliens or robots as the obvious bad guys. On Earth 300 years in the future, astronomers discover that our sun is going to go supernova soon and a huge expedition is launched to find a new planet to call home. In the prologue mission I played, the expedition returns with news of a probable destination for the human race, but the whole fleet is attacked by unknown ships and completely decimated. "The game fast-forwards ten years into the future and you arrive at the outskirts of our solar system at Pluto," said Stockman. "Your mission is to rescue humanity that has been locked down by an antagonistic faction called the Children of Dawn. They are a fanatical religious group who believes that the supernova of the sun is going to bring the rapture and they want to take everybody with it." When Stockman told me that, I was impressed to see such a believably human scenario in a genre that usually uses the clash of alien cultures as the pretext for conflict. That Stockman chose a human religious zealot group with beliefs somewhat analogous to the Heaven's Gate-type groups in our history was a stroke of genius, in my opinion. But how does the game play? I was able to get my hands on it at PAX and I have to admit that it's a little difficult getting used to dogfighting in three dimensions again, especially when using the Xbox controller instead of a joystick. 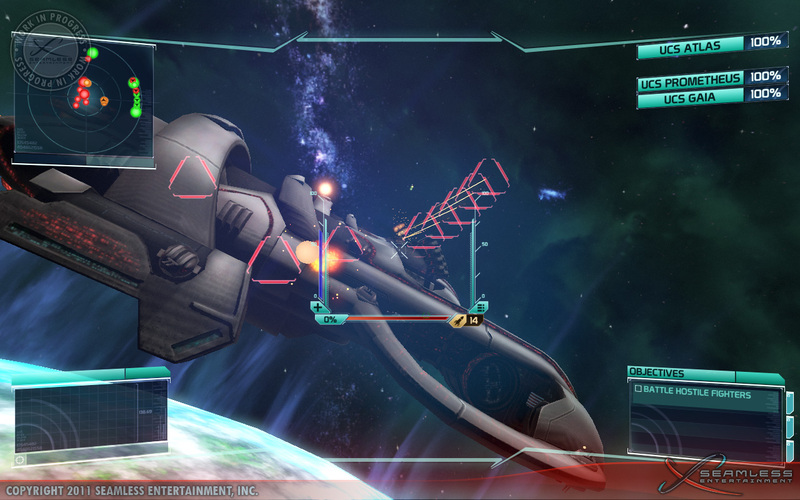 I'd forgotten the art of leading fire to hit where ships will be instead of where they are, but Exodus has a handy feature that by locking on and pressing A, a target reticule appears on the HUD ahead of the enemy ship letting you know exactly where to aim. Of course, doing so on a ship that's moving fast in various directions still takes skill. The prologue was full of action though, with capital starships blowing up all around my little fighter. Another mission took place in the atmosphere of Neptune with debris and bodies from civilian ships that you're meant to rescue rain down around you. 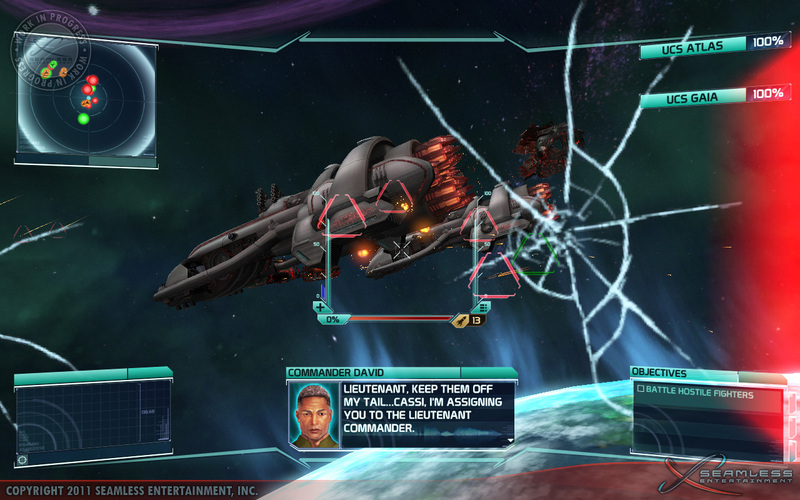 Stockman wanted to stay away from win-or-fail objectives like rescuing X number of ships in a certain amount of time, instead allowing you to complete the mission freely. The only caveat is your capital mothership, the USS Atlas. If the Atlas goes down, the mission ends automatically. 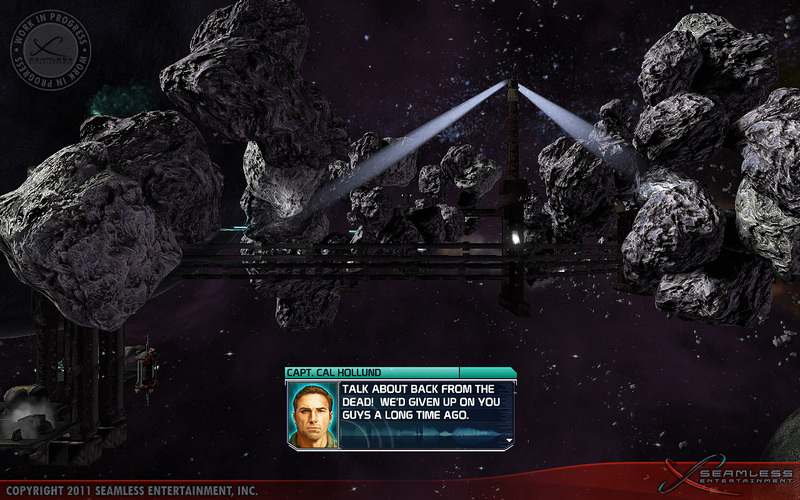 Stockman was able to use these missions to showcase some of Exodus's features, like your ship's computer being able to interact with objects in space such as defense satellites and the aforementioned transport ships. Once you scan these objects, you can hack into them using a simple code. Fighting big huge capital ships is not about passively watching them trade laser fire; your little fighter can scan its big rivals to locate weak points and your HUD will highlight them in red. Blow all those points up - there will be a representation of its destruction including visible decks and pieces flying of the big ship - and the capital starship will go down. 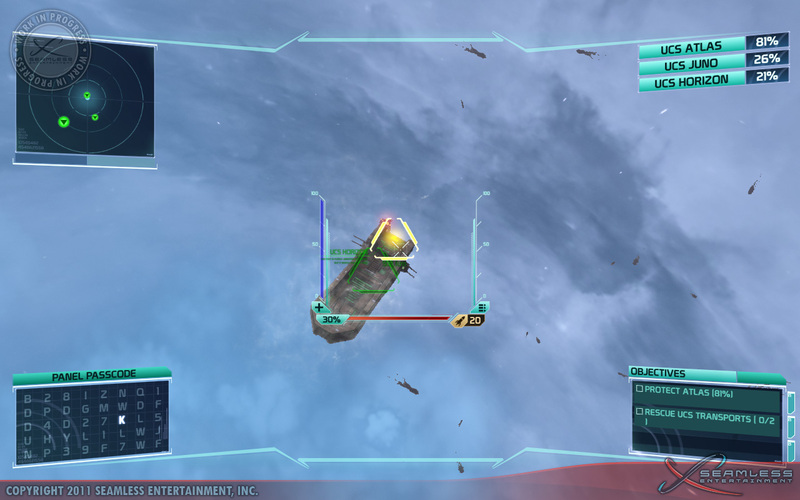 In addition to enemy ships, most of the stations or satellites you encounter are destructible, allowing you to fly right through them if you blow them up in time. Stockman told me that big events and huge set pieces was clearly no accident. "People, I think, want epic games, epic experiences," he said. "There have been open world space games that have been released but what they've been is this boring [gameplay] where all you do is fight piddly space pirates and you play this stupid economy. I don't think that the gamers of today want to play macro economy games. And if they do, they can go play Eve or play one of these other super-niche games where it's more about buying at one station and selling at another station. "Ultimately, I want to get out of my ship, go into first person combat, blow the hell out of the capital ship from the inside, and then race my way, get into my ship, and leave right as it explodes. That's my holy grail, pot of gold at the end of the rainbow." For now, Stockman and the six person team at Seamless are taking baby-steps toward that dream game. 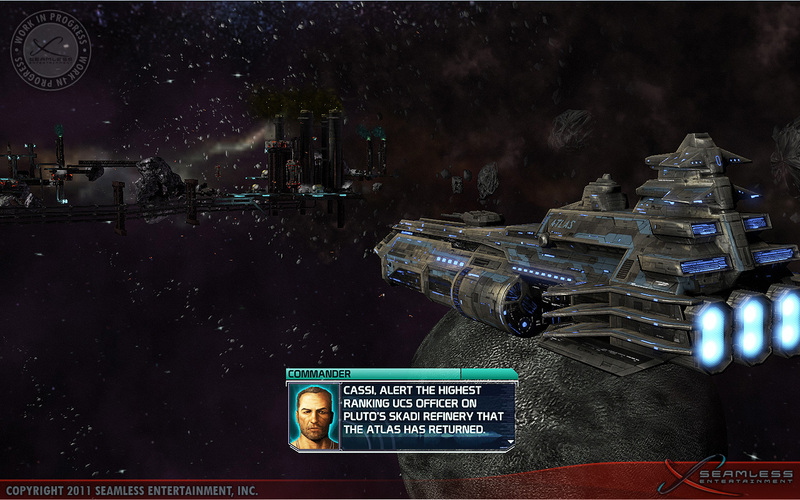 SOL: Exodus is meant to be a smaller title downloadable for the PC and hopefully the Xbox Live marketplace. He's making it playable on the Xbox controller by default, but Exodus will definitely support joystick, mouse and or keyboard if you want more finely tuned control. If Exodus sells a half million units, then maybe Stockman will be able to convince publishers to invest more into the space combat sim genre and enable Seamless Entertainment to make the GTA in Space that he feels so strongly about. I would certainly love to play it.